This world-famous cultivar is one of the most famous strains in the world. While AK-47 is considered to be Sativa-dominant, it also has a significant presence of Indica, which gives it a kind of balance. AK-47 first grew in 1992, and later it underwent various deformations. Neurobiologists an..
Alter Ego - photoperiodical, feminized mainly Indica strain, crossed by the scientists and plant breeders of seed-bank Neuroseeds. Strain Violator Kush was taken as a basis and crossed with mysterious "X"-strain. As a result, a new strain has been introduced with powerful effect similar to narcot.. Thanks to the neurobiologists and geneticists, Neuro Seeds has developed entirely new variety called Amnesia, which can be grown both in greenhouses and outdoors, but this variety is suitable only for warm climates. It can produce above 70-80 g per plant in greenhouse conditions and 200 g per pla..
Creative Reactor is a photoperiodical, feminized mainly sativa strain which was produced owing to the neurobiologists from Neuroseeds. A wonderful popular on the market G13 Haze strain participated in creation of Creative Reactor apart from secret “X”-strain. The name of the strain could not have.. This Sativa dominant variety of medical marijuana is presented by Neuro Seeds breeder scientists in a new light. Jack Herer is able to immerse you into the cerebral psychoactive effect, and this is due to the dominance of Sativa, while Indica’s part of the heritage is practically not felt, bu..
Neuron is a photoperiodical, feminized Indica-Sativa strain One more new strainfrom the range of seed-bank Neuroseeds. This time “X”-strain was crossed with the best strain in Holland – Euforia. The plant has got many side branches on which the pitchy strobilas are developed. On the sidelines..
New York Diesel is Sativa dominant cultivar of medical marijuana (60% Sativa, 40% Indica), which gives the high yield. This variety has spike-like shape with beautiful airy inflorescences and few leaves. It can grow well indoors, except for growing outdoors in tropical climates, although good yie..
Northern Lights is one of the most famous varieties of marijuana of all time, and now Neuro Seeds geneticists and neurobiologists have brought it to a new level. This is a pure Indica, known for its stunning resinous inflorescences, quick blossom period (45 days) and resistance during growth - th..
Phoenix is a photoperiodical, feminized mainly Indica strain with original Pakistan Valley taken as a basis of the strain. In the result a branched plant with fruit aroma and odor as well as strong narcotic relaxing effect has appeared, and you can feel as a twice born after it. Blooming period o.. This classical strain of Cannabis Silver Haze holds a special place among the growers. After using Silver Haze psychotropic effect of Sativa-Tropikanka and light coating effect of Indica can be observed. 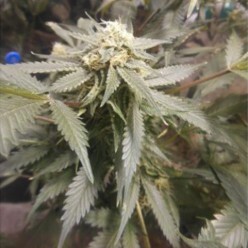 Silver Haze from Neuro Seeds has got a combination of light flinty ..
Somango is a hybrid of medical marijuana, specifically developed by Neuro Seeds geneticists and neuroscientists. Somango consists of 75% Indica and was produced combining the genetics of Jack Herer, Super Skunk and Korean Big Skunk. This variety owes its name to unique fruity aroma.. Stress Brake is a photoperiodical, feminized, mainly indica sort. 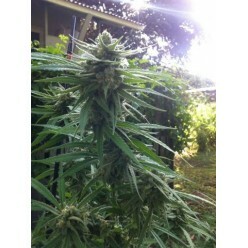 It is one of the latest offers from Dutch producer Neuroseeds. The notable and extremely popular LSD sort which was crossed with secret “X”-sort by the geneticists participated in creation of Stress Brake. The very name of Stre..
Super Skunk is super strong hybrid with Indica characteristics dominance, one of the best varieties in its family, specially improved by Neuro Seeds professional neuroscientists and geneticists. Super Skunk has an intense sweet, fruity and very bright aroma. Super Skunk grows as lo..
White Russian is a medical variety of cannabis created by diligent efforts of Neuro Seeds professional neuroscientists and geneticists. White Russian produces incredibly beautiful plants with the same incredible effects. This is a plant of medium height covered by resinous inflores..
White Widow is a very popular strain of medical marijuana in Amsterdam, that contains 60% of Sativa and 40% of Indica. Only now, you can try an improved version of it, created by professional geneticists and neuroscientists from Neuro Seeds . 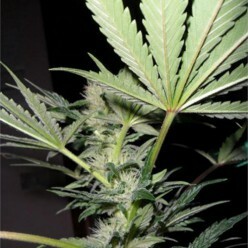 White Widow is an incredibly beautiful plant, its buds..